These are the seven best epic cards in the game, and the ones that should be in your deck. While epics may not be as good as commons or rares, they still provide a huge influence on the game, especially in the lower arenas. If you haven’t read other Top X Cards for each rarity, make sure to check them out as well. Hope you enjoy, and don’t forget to rate us down below! This is a 3rd part in our 7 best cards series that will be completely published in Jan 2017. Next up will be top 7 Legendary cards, but here we will concentrate on best epic cards to have in your deck this year! 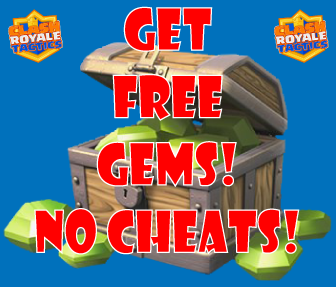 We will update this guide and Supercell makes updates to the game and meta changes. 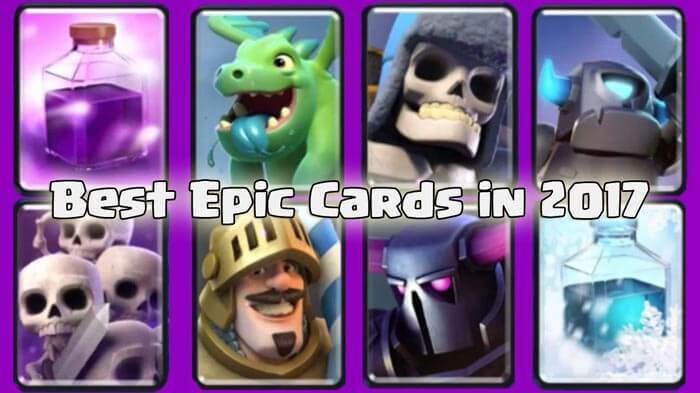 With that said, let’s get started with BEST EPIC Cards for 2017! Conclusion: The lightning spell is deadly, and with the added stun effect, it has become even better. 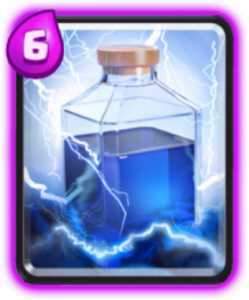 Capable of taking out several glass cannons that are so common in today’s meta such as the mega minion or the musketeer, it provides great value for only six spell. Try to lightning a big push so that you eliminate most of the damage dealing troops. 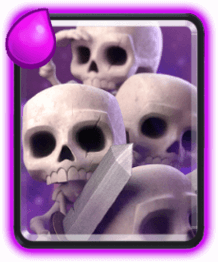 Conlcusion: While the giant skeleton hasn’t really ever found its place in the meta, it has its own niche where it can be very effective. It can stop pushes in their tracks and can decimate a tower if not dealt with quickly enough. One cool strategy with the giant skeleton is to clone it; this way, the cloned giant skeleton’s bomb will deal with the troops in the original’s path. Conclusion: The goblin barrel is a great card, capable of dealing insane damage. Try to distract the tower with a tank like a giant, and then deploy your goblin barrel when they aren’t ready for it. Keep on moving around your placement, so your opponent can’t prediction zap it (try throwing in the corner). Conclusion: The tankiest troop in the entire game, the golem provides a huge “rock shield” for your other troops. 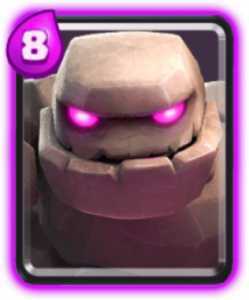 Combined with the recent update that allows it to kill minions and air troops, the golem is one of the best cards in the game. Combine with an electro wizard for a great combo. Conclusion: The guards are a hard counter for all glass cannons, and they provide a great counter for the Sparky. Similar to goblins, but with the added health of the shield, they can also be used offensively like with a pig push. If confronted with a valkyrie, the guards’ spears actually allow them to out-range the valkyrie when she is attacking another target. 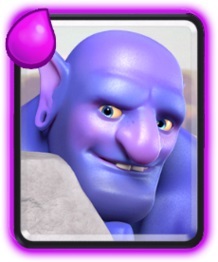 Conclusion: The bowler is the most annoying card in the game, but his pesky attack mechanism makes him one of the best cards in the game. Capable of shutting down a troop before it can reach the bowler itself is one of his strong suits due to his knockback effect. This defensive capability makes him the second best epic in the game. 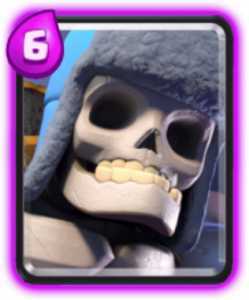 Conclusion: Previously one of the worst cards in the game, the skeleton army has finally entered the meta due to the new upgrade (lower elixir cost and increased skeleton level). It’s one of the few counter to elite barbarians, and it provides an unexpected attack for most opponents. 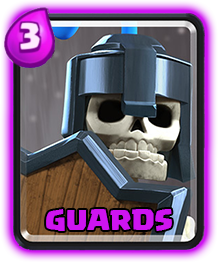 Used in a zap/arrow bait deck (goblin barrel, skeleton army, princess), the skeleton army can be lethal. Conclusion: These are the seven best epic cards in the game in my opinion. I prefer commons and rares to epics. In fact, I don’t have any epics in my deck, but epics are good if you can level them up high enough. Even with the Epic Sunday request feature, epics are still extremely difficult to level up. Luckily, there’s a quick and easy way to get them to tournament level. With free gems, you can easily level up your cards and maybe even get a few legendaries in the process. Just download FreeMyApps through this link, and start downloading apps to make money. It’s quick, safe, and easy. Lastly check out our Legendary, Super Magical, Epic Chests Cycle guide, to find out you you can get these chests, and have better cards! I will maybe say pekka and wizard or inferno dragon and baby dragon! Hey what about prince man. He is very strong and speed . My prince is lvl.8 and his charge damage is nearly 820 . What about him not being in the list. It’s cheating even pekka is also not there and my lvl.7 pekka once goes near tower he kills it . It’s there remove lightning and guards and keep prince and pekka. Indeed to each there own. P.E.K.K.A followed by electric wizard. Also skeleton army followed by inferno dragon. My deck will decimate towers in seconds if raged out. I believe everyone’s feed back is more helpful then the person that made this article. I was looking for best epics to max out, not tournament specs. If anyone has the maxed out statics id be most interested. I Disagree that guards are useless, they play a huge roll in my seige deck. No witch or baby D! Those are the big staples for me, especially witch is number one in my book. Huh I don’t really think any of those cards are that great. I keep half deck at least splash as do most and that pretty much makes skeleton army pretty useless in most matches. The witch can be used as a good counter to every single one on this list except lighting and bowler with most of them it would be able to use defensively without taking a scratch and then make an offensive push. I don’t have the Executioner and Bowler leveled up enough but I would imagine they could give the Witch a run for its money for number one. The baby dragon is such a good utility player a fastish, splashy and tankish troop. It can be support or the tank and one of the few flying troops. But I suppose it all depends on ones own strategy. To each their own and let’s settle it on the battlefield. I agree with the skeleton army being the best epic card, but some of these cards are better than mentioned. The executioner should probably be second on this list. I’m assuming that it hadn’t come out at the time of this writing. Another thing is Goblin Barrel should be 3rd hands down. Guards are one of the weakest cards I’ve ever seen. Probably as bad as mortar. I’m surprised it even made the list. Those few extra damage points can also be the deciding factor of a match though and when there is a lot of skeletons attacking something, like a giant or elite barbs, they do significantly more damage. Goblins can be worse versus some decks, but some of those decks are unbalanced and vulnerable to other things. Overall though I think it does quite well. If your opponent has zap, you can do things to get them to use it on another troop. Then you can get your goblins to their towers zap free. 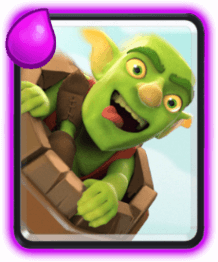 If you have both goblin barrel and skeleton army in your deck then your opponent will have a hard time zapping both of them. I find that goblin barrel works well when in combination with something already attacking the tower. If the tower is already attacking a baby dragon then the goblins can bring the towers health very quickly down to zero.